Line a minimum of 3 baking trays with parchment paper. In a small pot, add butter, sugar and syrup and heat gently and stir until the butter is melted. Measure out all the remaining ingredients in a separate bowl and mix through with the flour. Remove the butter mixture from the heat and add the dry mixture and mix it through, until no flour visible. Spoon approximately one heaped teaspoonful of the mixture into each cookie cutter shape (depending on the size of the cutter) and if required press it down slightly with a spoon to take on the shape of the cookie cutter. Do NOT fill the cutter to the edge, as the batter will still spread and fill up the empty space of the cookie cutter. 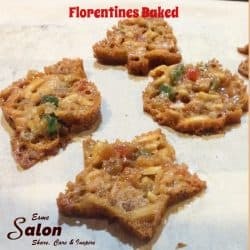 Remove from the oven and let it to cool down and slightly harden prior to gently removing it from the cookie cutter. Brake the chocolate into smaller pieces, and place it in a glass bowl and nuke it in the microwave for 30 second intervals. 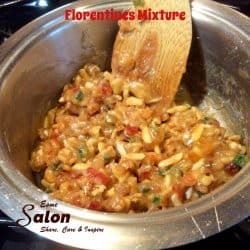 Use a teaspoon, mix well until you have a smooth consistency. 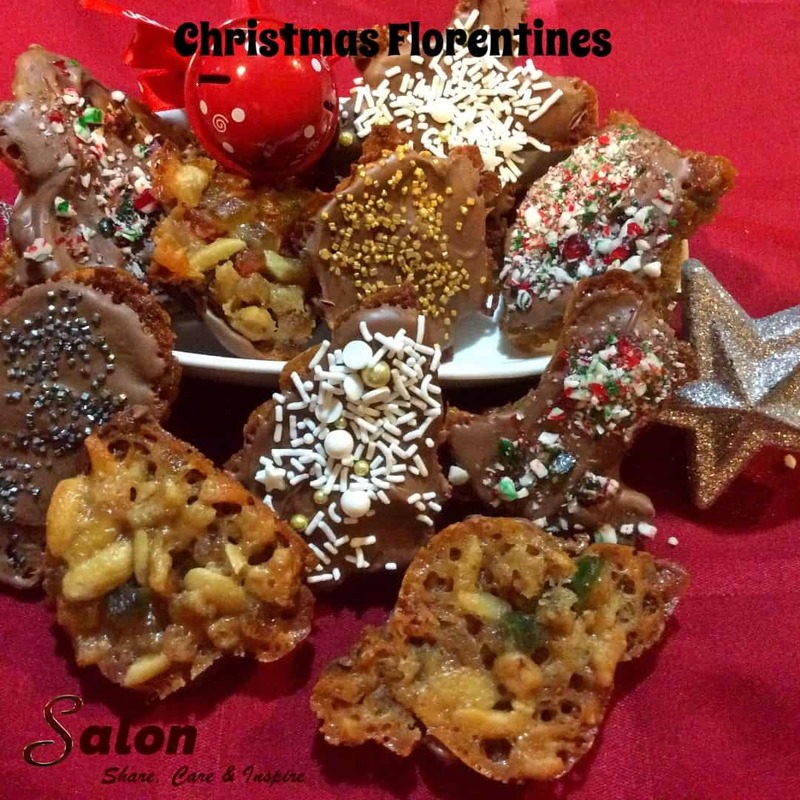 Spread a heaped teaspoon of chocolate on the back of the cold Florentine and leave it upside own in order for the chocolate to set. 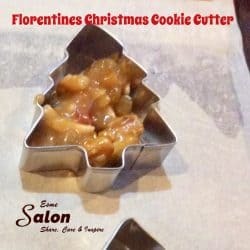 I love to try something different, thus using the cookie cutters to shape the Florentines, and also instead of just the standard chocolate and a zigzag with a fork in the chocolate, I opted to add some Christmas flavor and color. While chocolate still soft and ‘wet’, add any decorations to the chocolate and let it harden. • Silver and Gold Edible Metallic Sand. To speed up the process, you can pop it in the fridge. Fantastic GF baking, thank you.